Hope, a Sophomore at Harriman High School, has maintained a 3.5-4.0 GPA and has achieved her CompTIA IT Fundamentals Certification. Hope participates in many school organizations including Beta club, tennis team, soccer team, and serves as Sophomore class president. Hope is a very genuine, kind person who enjoys contributing to her community and school. 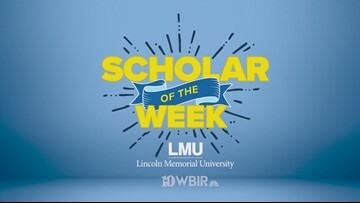 Lincoln Memorial University and WBIR want to celebrate her accomplishments and contributions to this community.